Get Your Daily Dose of Central Minnesota Inspiration. Watch the Growing Home Video Series. ECONOMIC POTENTIAL: Enterprise Academy students Sahra Shukri (center) and Shafi Mohamed (right) with Initiative Foundation Program Specialist Abdirizak Jama. The Enterprise Academy gives entrepreneurial immigrants the tools they need to start their own businesses. You’d think that someone with three college degrees and a master’s in business administration on the way wouldn’t need advice on running a business. That’s not how Ahmed Ali sees it. Ali, a recent graduate of the Initiative Foundation’s Enterprise Academy, said the experience was vital to him as he prepared to launch his business, Fortune Trucking. “It is an amazing program for potential entrepreneurs,” said Ali, 35, a St. Cloud resident who was born in Somalia. “I have been able to learn from people with significant experience about marketing my business, putting business proposals together, balance sheets and other financial statements. That’s exactly what the Initiative Foundation hoped for when it began planning the academy three years ago. The idea grew from a simple statistic that jumped out at Foundation strategists: While the population of Central Minnesota was about 9 percent people of color, only about 3 percent of businesses were minority-owned. “Three of our top strategic goals were to help new entrepreneurs get started, help existing entrepreneurs expand and help financially disadvantaged populations,” said Jeff Wig, the Foundation’s vice president for entrepreneurship. Helping the region’s growing East African community seemed like a natural fit. It’s a community that doesn’t need much of a nudge, said Abdirizak Jama, the Initiative Foundation’s program specialist who coordinates the Enterprise Academy. “The East African culture is entrepreneurial. It’s in the DNA,” said Jama, who was born of an Ethiopian father and a Somali mother, and grew up in a Kenyan refugee camp before coming to America in 2010, at age 15. But there’s a big difference between running a small food stand in a refugee camp and opening a business in the United States, where the financial, logistical and regulatory barriers are much higher. That’s where the Enterprise Academy comes in. Enterprise Academy students meet weekly for three months, three hours a week. They hear from experts across a range of foundational business subjects: planning, marketing, finance, regulations. And the program offers support well beyond the classroom. Academy graduates get one-on-one mentoring and technical assistance, and are eligible to apply for financing of up to $50,000 from the Foundation. Before starting the Enterprise Academy in early 2018, the Foundation engaged in an intensive, community-based outreach and planning process, convening a working group of Somali-American community leaders as well as figures from the economic development arena in St. Cloud and Central Minnesota. The group of about 20 people met every other month for 18 months. Its charge was to identify barriers and opportunities for new East African residents looking to enter the business world. “Understanding what it takes to start a business, you have to be more careful and plan more strategically,” said Jama. “Here in the States, it can take $50,000 to start a business, as opposed to having $1,000 and starting a micro-level business in Africa. Many community organizations have provided expertise and financing to the Enterprise Academy, including the Greater St. Cloud Development Corporation, St. Cloud State University and the Small Business Development Center. St. Cloud Mayor Dave Kleis has been an enthusiastic supporter. Wells Fargo made a "very low-interest loan" of $600,000 in seed money and also made a grant of $200,000. “That was what allowed us to green-light the program,” Wig said. 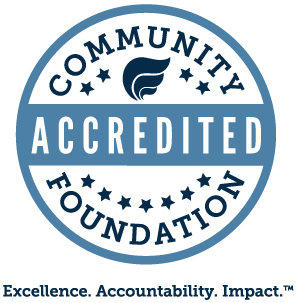 The Central Minnesota Community Foundation contributed $150,000, and the Ewing Marion Kauffman Foundation of Kansas City, Mo., contributed $50,000, through a subgrant from the Twin Cities-based Neighborhood Development Center, whose work in the metro provided a model for the Enterprise Academy. So far, two academy classes with a total of 17 students have graduated. The areas drawing the most interest from the budding entrepreneurs are food and transportation; other potential businesses are in medical services, retail and personal care. Ali, the trucking company owner, said the program benefits go beyond the classroom. “It’s also an opportunity for networking,” he said. “There are a lot of opportunities for learning, for growth, for development, for financial support. Abshiro Hussein Mayow, 25, is a biologist and an academy graduate who is Somali-American. She grew up in St. Cloud and hopes to open a medical scribe business.The academy experience, she said, was extremely valuable in helping her plan for the future. After going through the Enterprise Academy, she decided she’d be better off taking a longer-term view of her business plans. Mayow intends to go to medical school, and she believes she’ll be better positioned to run her scribe business with a medical degree. In the years to come, the Initiative Foundation hopes to expand the Enterprise Academy to ambitious entrepreneurs in other low-income communities in Central Minnesota. The lessons learned will make the program even more effective, Wig said. Thank you to our local sponsors for supporting IQ Magazine. View our Sponsor List. and a vibrant region across Central Minnesota. exact and should only be used as a rough guide. Sign up to receive updates and information from the Initiative Foundation. through the Charities Review Council.